A&R Services is the Myrtle Beach areas one call post construction cleaning service experts. Fast, affordable, and paying every attention to each unique job and customer. We service commercial & residential, HOA’s and offer professional pressure washing / power washing services. 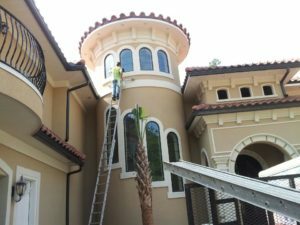 A&R Services services Myrtle Beach, North Myrtle Beach, Little River, Longs, Conway, Carolina Forest, Surfside Beach, Pawleys Island and the surround areas. All of my concrete parking lot was severely stained and gave our centers curb appeal a negative first impression. Called Al at AR Services and love their work. Our parking lot is now an asset to the building. What a great job they do. in and out in no time!! absolutely the best on the beach! !